Effective Jan 12, 2016, gate operators and barrier arms that use the APeX II control board are compliant with UL325, 6th edition. Linear PRO Access gate operators and barrier arms use this common new advanced APeX II controller. 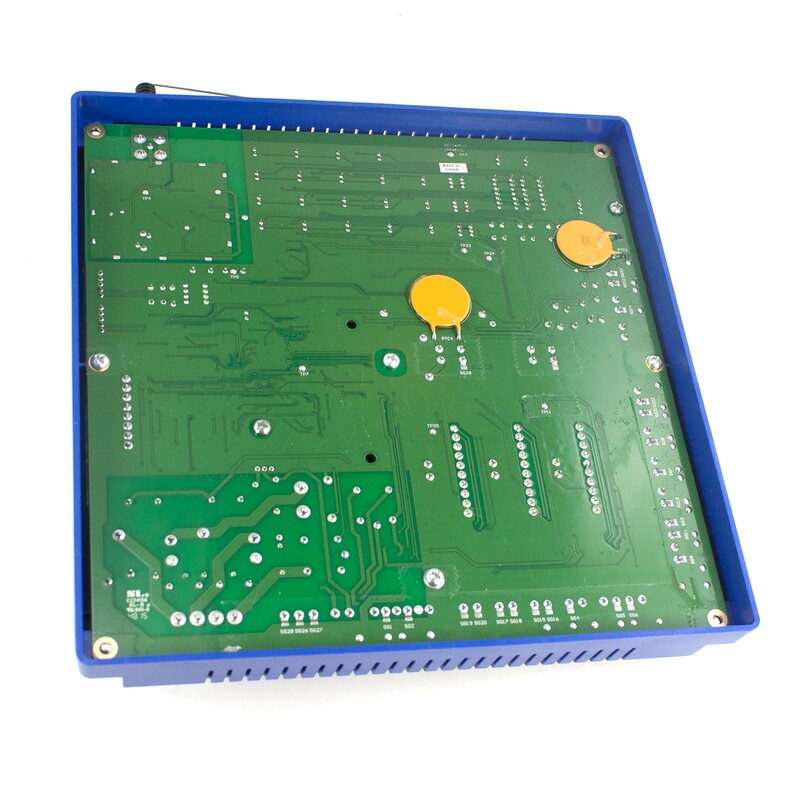 The new APeX II control board contains all of the same great features as the original APeX control board, so you won't need to learn how to program and install a completely new system! 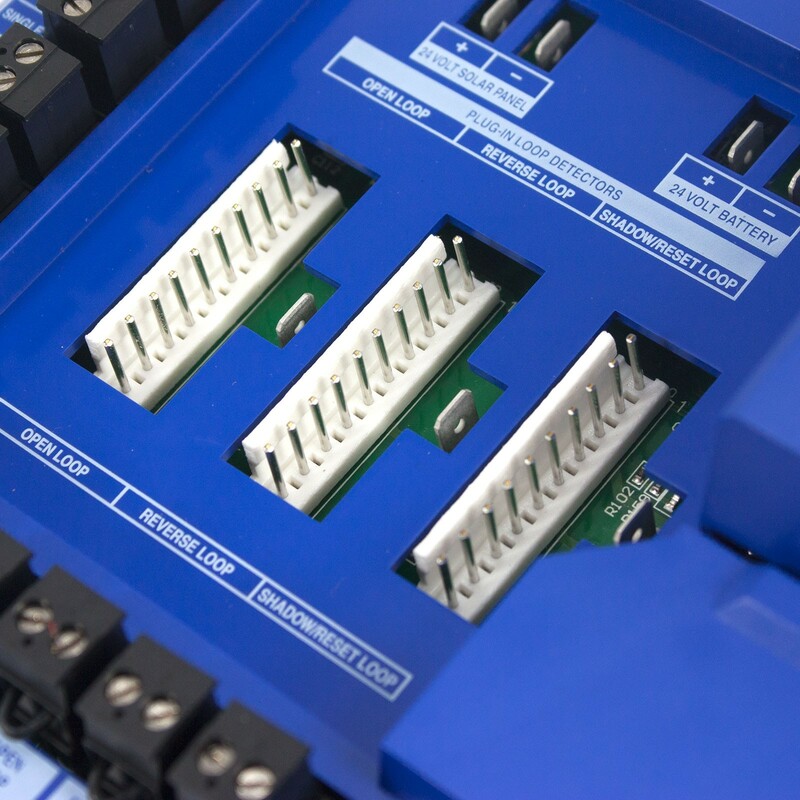 Like the original APeX board, the APeX II features on-board, low-voltage surge protection for lightning protection. 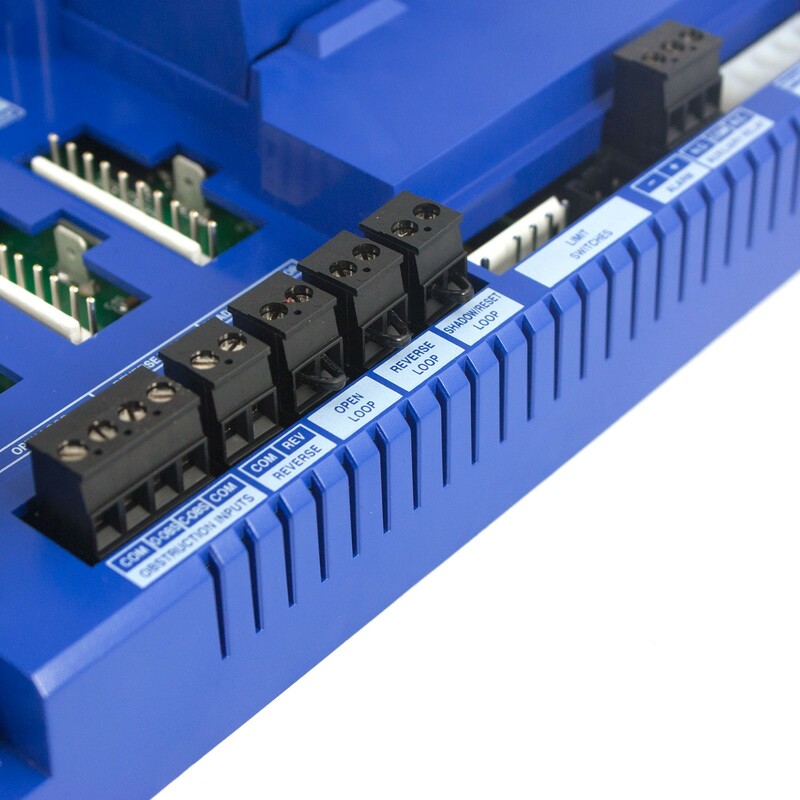 It has plug-in loop detector capability (open, shadow/reset, reversing), as well as pluggable, European-style field wiring connectors. 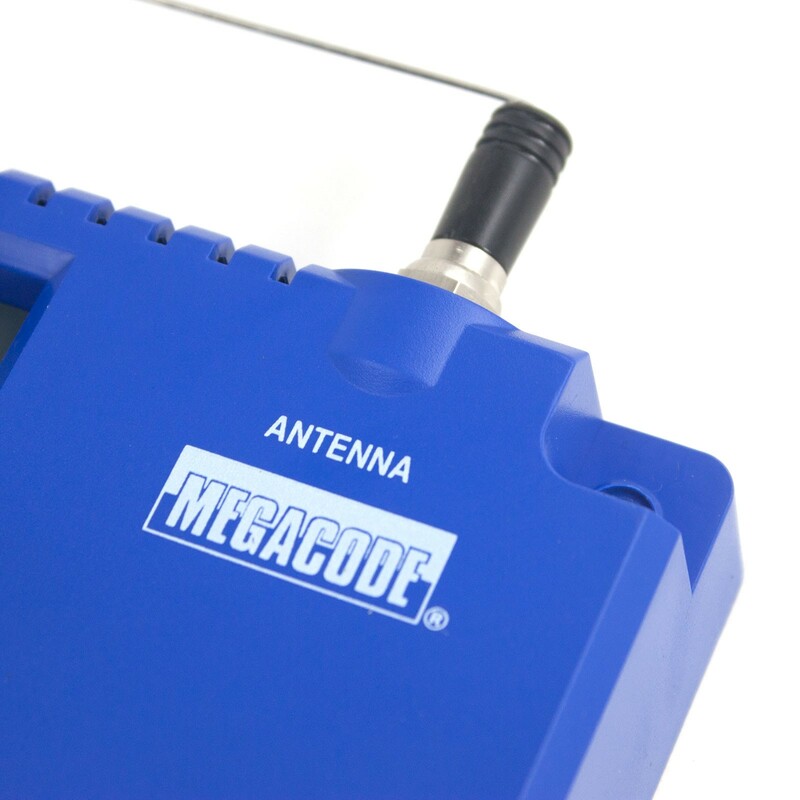 There are LED diagnostic lights and a built-in MegaCode radio that can program up to 40 handheld transmitters and two MGT gate edge transmitters, as well as an integrated three-button station (momentary contact: Open, Close, Stop). 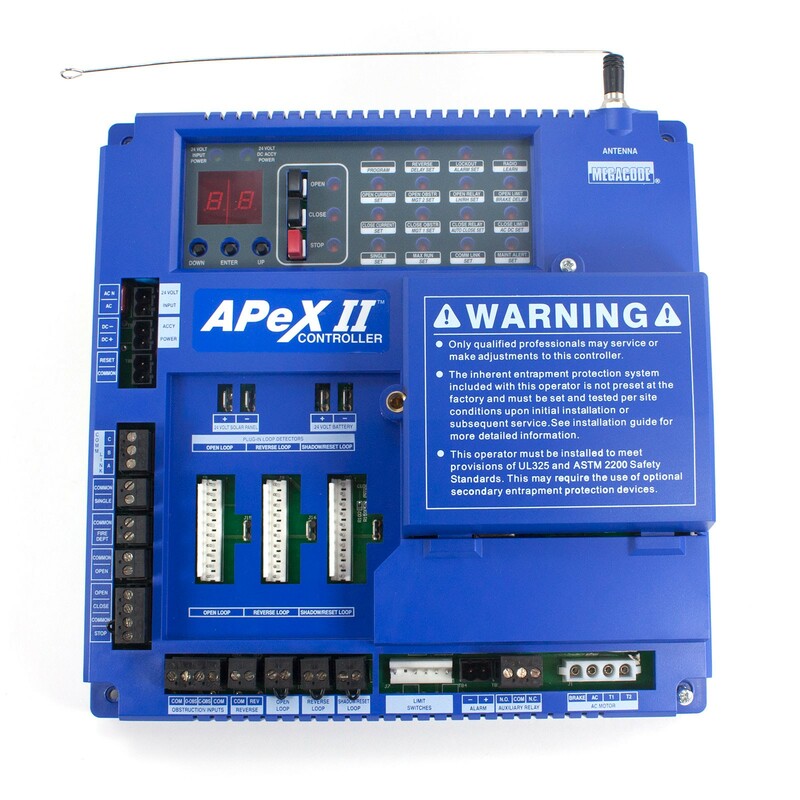 To simplify dual gate installation and operation, the APeX II is networkable, and allows accessory devices to be wired to either machine in a dual gate application. 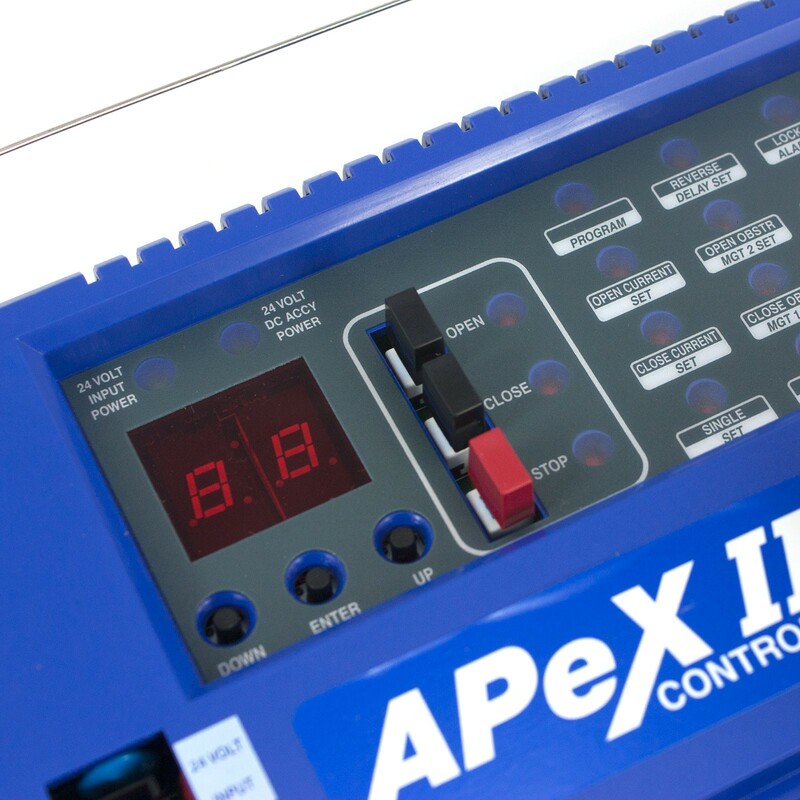 The APeX II controller also features automatically resetting fuses, and there are no dipswitches or potentiometers to set. 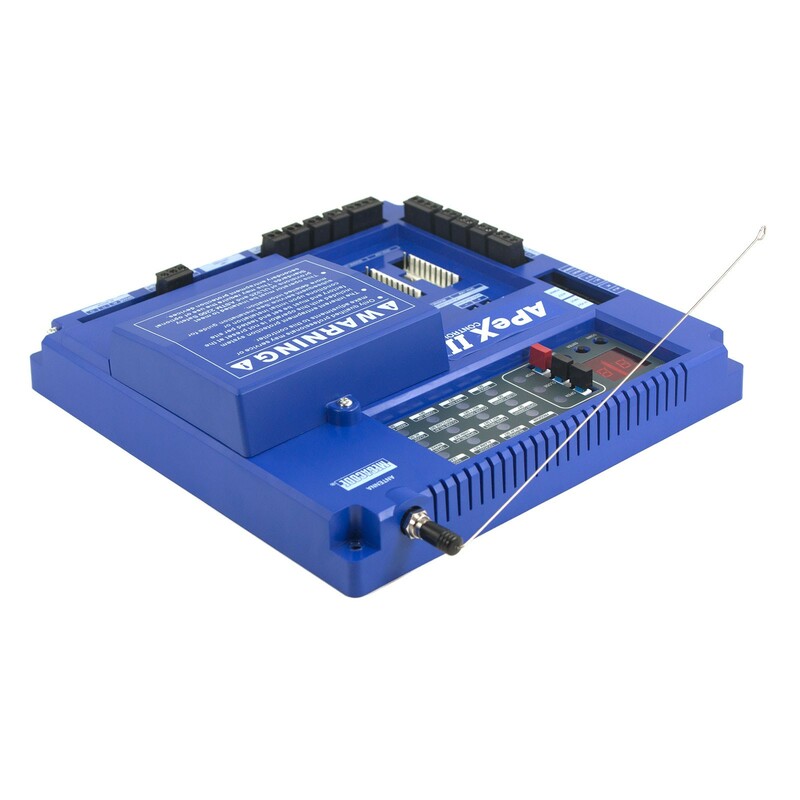 It has a dual seven segment LED display for programming and diagnostics. This controller also brings soft-start/soft-stop capability to OSCO's line of commercial DC battery backup gate operators. No proprietary entrapment devices are required. UL approved 10K resistance entrapment protection devices will work with the new APeX II controller. What inputs on the new APeX II controller are monitored? Only the open and close obstruction inputs will require monitoring. All other input functionality remains the same. Will it be possible to connect more than one set of photo beams in parallel into each set of input terminals monitoring for 10K resistance? Yes. There are various ways to connect multiple devices. Please contact us for assistance. Is the new APeX II controller backwards compatible? Yes, but you will need to add monitored external entrapment devices. 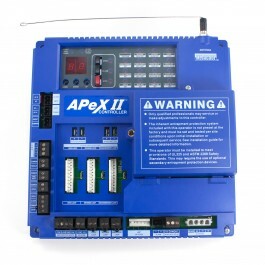 Learn more about the APeX II control board.